Should white parents let their kids wear “Black Panther” costumes for Halloween? People with fancy titles have danced around the question for weeks now. The most definitive answer I could find from the experts online was a wordier version of ‘just be careful’ in the New York Times from an associate professor of early childhood development and education at Texas Woman’s University. Consider the lack of black superheroes. Brigitte Vittrup warned parents and people creating costumes to be aware of the messages they are sending with “Black Panther” costumes. “There’s not a whole lot of black superheroes, so this is a really important thing, especially for black kids growing up,” she told the New York Times. While her explanation is much appreciated, it doesn’t exactly help white parents truly wanting to find a middle ground between giving their children what they want and being culturally insensitive. So I’ll be a bit more direct. “Black Panther” fans, you’re off the hook. 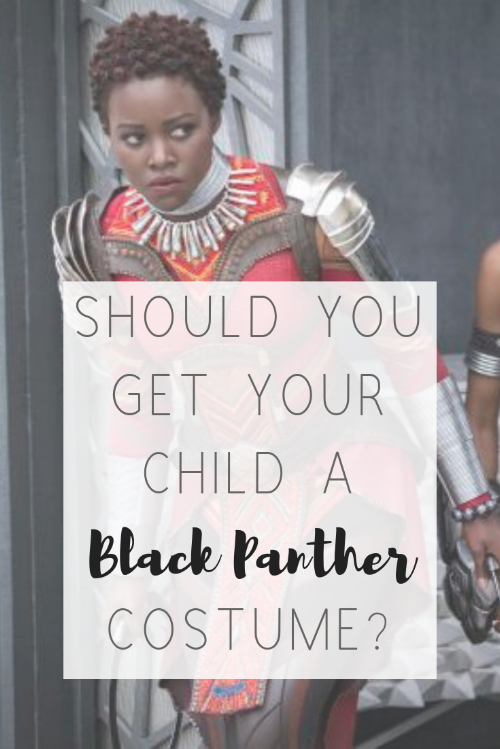 Black, brown, white and purple kids alike have permission from five of the seven black moms of this blog to let your kids dress as whatever superhero they want to dress as with one hugely important contingency. “Just no black face,” mom Judea Dee-Steele said. Don’t be stupid in costume. Celebrating superheroes is one thing. Using that celebration as an excuse to mock black or African people is something completely different. So let me spell out a few other no-nos for you. You shouldn’t be painting your child’s skin brown. Your child shouldn’t be speaking with a fake accent. And you shouldn’t be dressing your child in actual African garb or attire meant to mimic it. Oh Lord, I almost want to take back permission right here and now. That’s why the other two Honeycomb moms leery now. Remember costumes aren’t always innocent. It almost never ends well when white people dress up as black people for “fun,” but I’m going to instead, choose to have faith in others’ common sense. Plus, I’m just not prepared to tell a child wanting to dress like his favorite superhero that he can’t because that superhero is black. For years, our black children have been told this very thing. See Mary Hoffman’s fictional depiction in the children’s book “Amazing Grace,” in which the protagonist is told she can’t play Peter Pan in a school play because she’s a black girl and not a white boy. 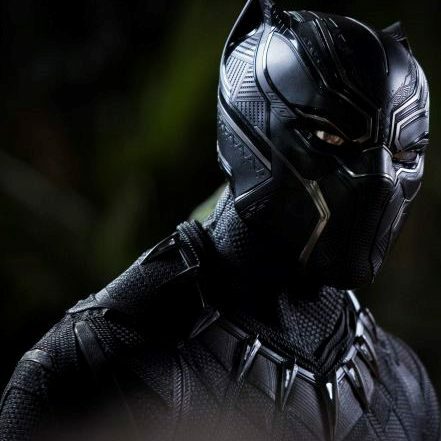 Now that black people have a winner of a superhero flick – and the “Black Panther” is definitely a winner, grossing more than $700 million domestically and unseating The Avengers as the highest selling Marvel movie in the United States – why on earth would we exclude white children from celebrating that film like our children do? Cultural appropriation claims, be damned. Even though the movie is chock full of cultural references from black people and actual African nations, let’s remember the movie itself centers around a mythical African nation. Simply put, King T’Challa isn’t real. Wakanda isn’t real, and therefore, they are fair game for a holiday of make-believe. Just don’t imitate the elements that are very real to black and African people. As a white woman, I truly don’t feel I even have a place to decide! But I agree with what you’ve said here. A child shouldn’t be denied what he/she wants to be but it is definitely the parents responsibility to lay the ground rules and, if the child is old enough to understand, maybe use this as a teaching moment and explain why Black Panther is so important! Thank you for writing this! As a multi-racial black woman raising a black boy who IS going as Black Panther for Halloween this year, I love that he even has the option of being a superhero who looks like him! Personally, I think if it’s done with respect and class any child should be able to wear the costume. Such a daring post but very necessary. Thank you for addressing the elephant in the room. Kids should be allowed to dress as superheros. I love the candor of this post! You address a touchy issue in a balanced and nuanced way. I also must say that even though I normally don’t care for comic book movies, Black Panther was an amazing movie with a very important message. I am a white American born woman who lived in Africa my entire childhood and loved it. I understand what this could mean. However I have a racially mixed niece who is going to be snow white for Halloween and there is no controversy there..and my best friends son who is white as snow loves black panther and that’s who he is for Halloween. He’s not painting his face by no means ( honestly I would not have ever thought of that as an idea ) but he’s having so much fun with the superhero and I think that should be embraced he doesn’t see the color at all. We should see all superheroes as what they are not as their color thus color doesn’t make you see your soul and your integrity does. Happy costumes for all. Dress up any day! A child (or adult) should be dress up as whatever comic book character they want. Don’t paint any faces black, and everything’s all good. White kids admiring a black superhero should be celebrated. And if they want to try out the accent, then why not? Chadwick Boseman doesn’t speak like that in real life, so why can’t little Liam O’Herlihy on October 31st? I’ve heard the word "cultural appropriation" tossed around (not here, but elsewhere). Black Panther was created by Stan Lee and Jack Kirby, so if there’s any appropriation going on, it’s the appropriation of Jewish culture.